This vintage Tomy Aurora AFX ‘Midnight Racers’ set is complete and unused. 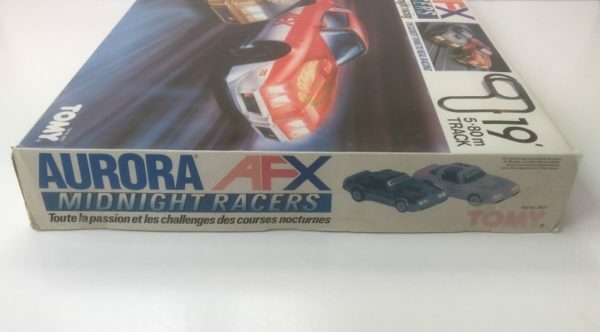 The box is unopened and still sealed. Apart from some slight fading/wear to the edges of the box, the set is brand new. 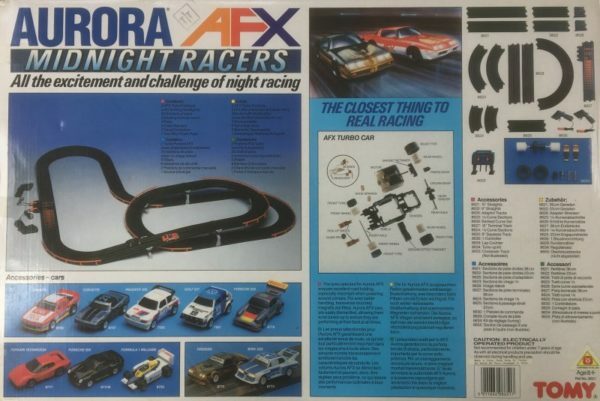 This set features nearly 6 metres (19 feet) of track and two AFX Pontiac Firebird cars with working headlights. 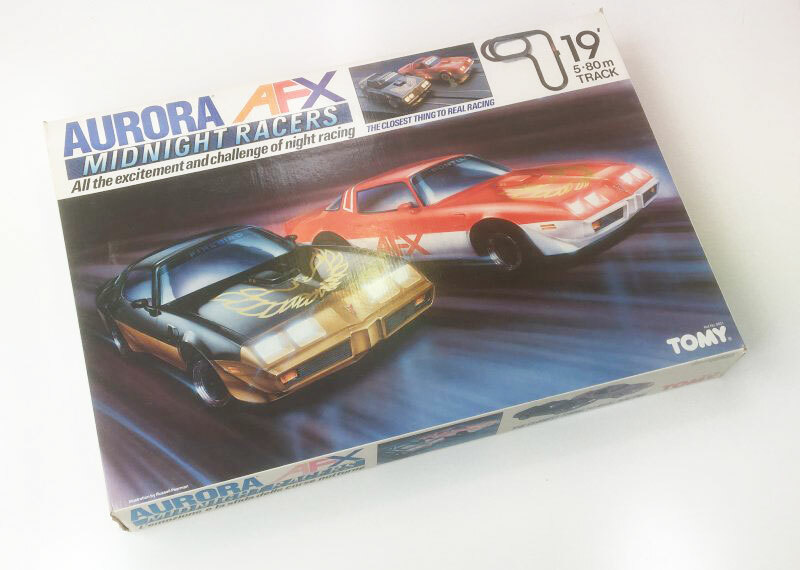 Aurora AFX is generally reckoned to still be the best brand of HO scale slot car racing and this is rare chance to buy a brand new, unused set. 20 x Track sections. Total track length 5.8 metres. Box: Very Good (Grade: 8.0) Minor edge wear and fading.